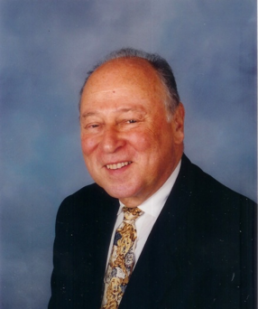 Paul Gass - An Interview with a true pioneer of the equipment leasing and finance industry. Paul, the original founder of Eaton Financial, is one of the most interesting people in our industry. Eaton was one of the very first to pioneer the small ticket leasing business along with creating the unique tools required some 40 years ago. 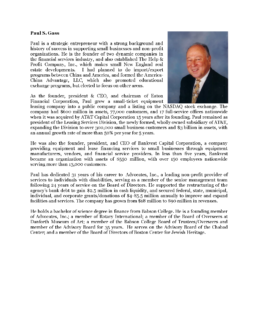 Paul was and is a tireless advocate for the disadvantaged and for championing many causes, from diversity in the workplace, founding of the Equipment Leasing and Finance Foundation and extensive philanthropy. In this series of short videos, we take a look at just a few of the highlights of Paul Gass’s remarkable career. Trust me, there could easily be a dozen more segments of the very interesting and engaging life of Paul Gass. There is much anyone can learn from Paul. This video will give you a sense for Paul and set the stage for the following segments. Ever wonder how application only credit decisioning started? In an era and an industry which was unquestionably male-dominated Paul blazed new territory well ahead of his time. Learn why many of Paul’s key employees were women. Learn how the Equipment Leasing & Finance Foundation got its start. Paul sees another need to help those with disabilities gain entry into the workplace. Hear about how Paul engaged with the Advocates, a non-profit that champions people who face developmental, mental health, or other life challenges. We sum it all up in this segment, but we could have gone on for hours. Get some parting words of wisdom. Do you have some questions for Paul, please comment or contact us and we will try to get Paul to answer them.